Abel Tasman National Park is a the top of the South Island of New Zealand, and is one of New Zealand’s Great Walks – renowned for its golden beaches, sculptured granite cliffs, and its world-famous coast track. It is not a hard walk – perfect for beginners and children, and those who do not enjoy ‘extreme’ tramping. Perhaps the best thing from my perspective as a non walker these days, is that you can kayak from place to place. There are also water taxis to take your bags and your kayaks, you can pick and mix how you enjoy it. Australian based Womens Holidays (formerly Bushwise Women) is offering a trip 1-7 February, so if it has been on your bucket list to do it for the first time or to repeat it, here is your chance. Imagine – a journey through a never ending paradise of golden sand. Turquoise waters and lush native coastal forest surround this paddling mecca. 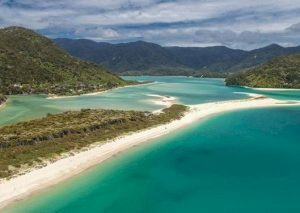 Join us, as we sea kayak, hike and camp the Abel Tasman Coastal Track. Our journey will be an easy-going, relaxed ‘soft’ adventure through a land incredibly vibrant and stunningly beautiful. Much of what we’ll see can only be accessed by water – this holiday offers unique entry to a natural paradise. This wonderful National Park is a must visit in New Zealand and what better opportunity than with Women’s Holidays? You’ll be well cared for, with fun company in an inspirational natural environment. We’ll unwind and have a good laugh, not to mention that with each day, our fitness and strength will develop and grow as we paddle along. Hi Anne, I have forwarded your request to the organisers kim@womensholidays.com and you can expect to hear from them. 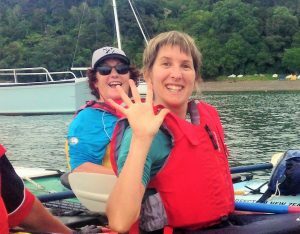 I did their kayak the bay of islands a few years back, and it was fantastic – I am not far off your age, as were some of the others.